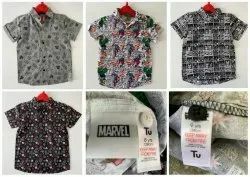 We are one of the leading manufacturer and supplier of Boy's shirt, We are supplierwide range of quality products with efficient pricing. With our in-depth knowledge of this domain, we are actively engaged in manufacturing an excellent quality range of Boys Shirt. 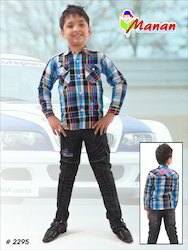 We are presenting an excellent quality assortment of Boys Plain Shirt. Being a leading firm in this industry, we are manufacturing a high quality range of Half Sleeves Boys Shirt. Having a pre-determined quality management system, we are actively committed in bringing forth a broad array of Boys Style Shirt. With very long years of experience in this realm, we are best in proffering Boys Shirts. They are available in many color options. Leveraging the rich industrial experience, we offer a wide array of Boys School Shirts. These Boys School Shirts are extensively used by the clients for their high comfort ability. Also, these Boys School Shirts are provi8ded by us to the clients in various sizes, colors and designs as per their demands and requirements.